With the holiday rush upon us and a new year quickly approaching, taking a moment to reflect on past victories and envisioning future endeavors is a welcome pause. Changing behavior, enacting new ideas and nurturing relationships should be at the forefront of all businesses this holiday season and into the new year. In fact, it is pretty much the story line for the redemption of infamous businessman Ebenezer Scrooge in Charles Dickens’ A Christmas Carol. If you aren’t familiar with or need a refresher on the tale then here’s the lowdown. Scrooge was a shrewd businessman with a bad attitude who made his fortune managing a London accounting house. A full-fledged curmudgeon with quite a few nasty quirks like rudely hovering over stacks of coin, brow beating his sole employee Bob Cratchit, hoarding the office coal and frequently venturing on profanity laced tirades of “Bah!” and “Humbug!” To take it a a step further, he likened taking a vacation day for Christmas to picking a man’s pocket on every 25th of December. He was just not a pleasant fellow. So if you’ve read all 5 staves of Dickens’ story you know that the seasonal carol is one of eventual redemption and positive change. Salvation comes to Scrooge only after a visit from the spirit of his former business partner, Jacob Marley and the help of the Ghosts of Christmas Past, Present and Future. In the end, Ebenezer realizes the error of his ways and makes wholesale changes to benefit his life, business and soul. So how does Ebenezer’s metamorphosis help businesses this holiday season and through the new year? Check out this modern day business twist on Dickens’ plot for a few positive ideas. Ebenezer thought his business acumen was flawless until one late winter evening when he was rudely awakened by three spectral business consultants. Scrooge spent the long night reviewing past business practices with the Ghost of Bad Decision Making, discussing current customer “Bah Humbugs” with the Ghost of Customer Experience and reviewing the coin stacks with the Ghost of Future Business. As a result of the impromptu and haunting strategic planning meeting, Scrooge realized it was time to implement some new business practices for the betterment of all. One of Scrooge’s ideas was to bring his marketing strategy out of the mid-19th century and into the 21st by embracing digital marketing and online marketing software. So here is the no “Bah Humbug” about do-it-yourself online marketing software. Keep your coins stacked high. 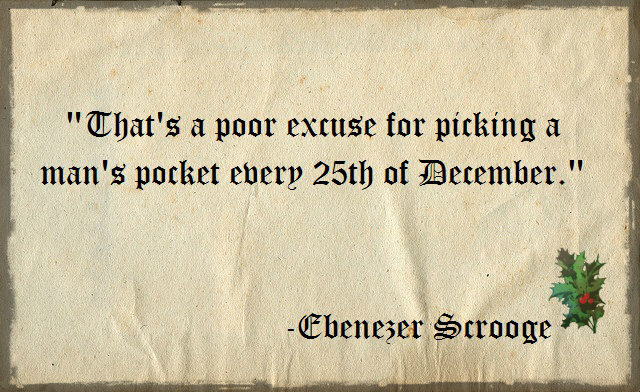 A few pennies per email vs. 49 cents per postage stamp, the choice is easy and Scrooge approved! Be forest friendly, go digital. Each year approximately 1.5 billion paper cards are sent over the holiday season in the U.S., which requires 300,000 new trees to be harvested per year. Spread holiday cheer. Ensure your marketing employees can make it to the holiday party this year by giving them the gift of automated email list management and do-it-yourself email campaigns. If they are combing over spreadsheets and printing mailing labels they’ll certainly miss the holiday wassailing. And that’s not nice! So this season, spare yourself a midnight visit from those three creepy business consultants and use online marketing software for sending bulk holiday email greetings and managing festive company events.